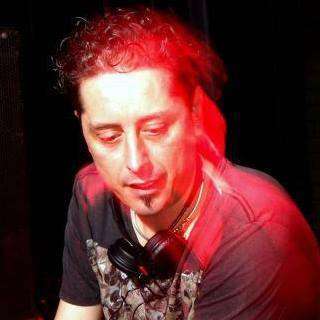 Hey Marcello, thanks for taking some time out to answer a few questions for us ahead of your set at Tribal Village on Saturday. You first made the move to London town 20 years ago in 1997. Were you already into music back then, or was that something that London helped bring on? For those who don’t know you, please tell us a bit about your background. Were you into music growing up, or was it something that developed later on? I have been passionate about electronic music since my teenage years, when I would buy records then make my own mix tapes and give them to friends. When I moved to London I went to all sorts of events, from trendy club nights to acid techno squats. 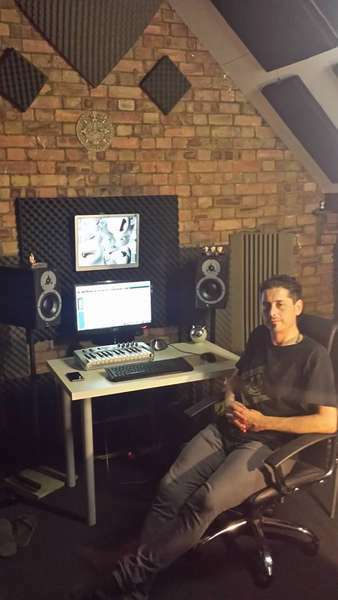 Eventually, I discovered psy trance at the legendary Tyssen Street Studios in Dalston and I never looked back. 20 years on you’re a regular on the main stage of the world’s top psy trance festivals and about to release your banging new album, Mental Amplifiers. What would you say the highlights of the last 20 years have been? 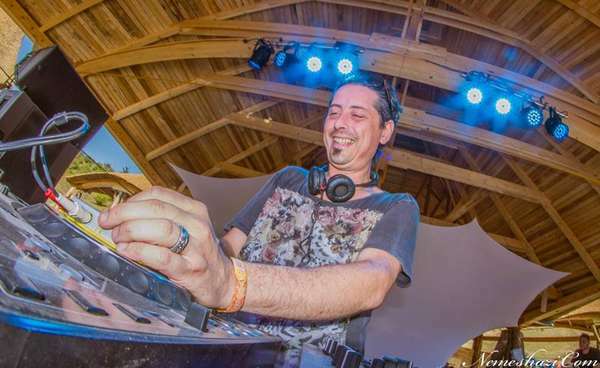 The events that left a mark surely are my closing DJ set in 2000 at the Chichime party in Tyssen Street, my first gig in Brazil at Celebra in 2003, and of course Boom Festival, Universo Paralello and Ozora Festival. And is there anything still on your bucket list that you’d really like to tick off? There’s too many events to list – nowadays major festivals are held throughout the globe and I still have to visit several countries, like Australia for example. How long has Mental Amplifiers been in the making? Is there a concept or theme to it, or is it a culmination of your latest adventures in the studio? It took me about two years to complete the album. It has been a really interesting journey towards developing my current sound, which is more psychedelic than ever and features distinct twisted loops and intricate layering. The album has a good balance of solo tracks, collaborations and remixes. I have been testing the tunes during the summer festival season and feedback has been really warm. Your music has taken you to some amazing places. I know what goes on tour is supposed to stay on tour, but what’s your craziest story from life on the road? Sure, sometimes it is better not to disclose what happens on tour but one crazy time was in Brazil in 2009, when some other artists and I had to travel extensively to get to this festival in the middle of nowhere in the north-east of the country. It was a mission: we first caught a two-hour flight from San Paolo to Brasilia, where we then discovered that the festival was another 32 hours away by bus! Exhausted, we finally arrived at a dingy b&b (pousada) only to find that the festival was a further 30 minutes away on a small island in the middle of a river infested by wild predators. A full-on adventure just to play a gig! Of course we travelled the same journey back, but we were a super cool bunch of people and we had a smashing time regardless of the never-ending trip. As well as playing and producing as M-Theory, you also have a prog project, CIMI. How to the two projects differ and is it hard to juggle them both? One of the most noticeable differences is the bpm. Generally M-Theory at 145bpm is the more psychedelic project, whilst Cimi at 137bpm is groovier and bouncier. It can be challenging to juggle between projects, but I try to focus completely on one project only for a period of time and then shift my focus to the other one. I prefer it to working on both projects simultaneously. It gives me the time to get me into the right vibe for each. Over the years you’ve released an incredible number of tracks and remixes. Do you have any favourites or do you love all of your children equally? I love them all equally, it’s unconditional. How we play, produce, distribute and promote music has changed considerably over the last 20 years. Have you managed to embrace the many changes technology has brought or do you find some things like social media can be an unwanted distraction when you’d rather have more time in the studio? It can be really hard embracing changes but as long as you keep yourself mentally young, everything is possible. Social media has become part of our jobs or a proper second job at times. The amount of hours we spend trying to make our pages look nice or being socially active could be spent making a few extra tracks and I would prefer that. However, today it is expected of artists to have an online presence. There is no way back, so I try to be as consistent as possible with it. For the production geeks reading this, what’s your current set-up in the studio? I’ve never had a big studio set up as until lately. I always produced my music in tiny rooms. I used to keep it simple: PC, Dynaudio BM5A, RME sound card and Midi controller. Only now in my loft studio I have the space for extra toys, so I’ve bought a 6 channel mixer and a Korg Minilogue to start with. Let’s see what’s next. Do you have a favourite plug in right now, or is that top secret? I normally fancy plugins like Sylenth, Vanguard and the ones from Native Instruments. 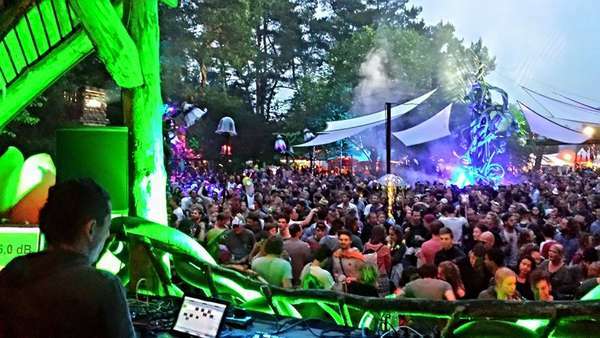 Your set at Noisily Festival this year was one of the highlights for many of us. Do you find putting a set together for a festival very different to a club set? What have been your favourite festies this summer? Noisily Festival was simply awesome! I had a great time and the set went down really well. Sonica in Italy was also great. Surely playing at a festival is hugely different from a club. There are some aspects that can make the track list in my sets change. The outdoor environment invites for a different vibe and I usually end up playing a few bpms faster. I also look at the time of the day/night of my set and quite often who plays before me. London can be a great source of inspiration for many but also can be bloody hard work on a daily basis, especially over winter. How do you manage to stay inspired and get creative after a long week? Yes, London is still one the electronic music magnets, but it also has the power to be very depressing in winter. I usually avoid looking through the window for long periods of time and concentrate on music instead. The summer festivals are like a big charging point for my “love psy” batteries, so I am usually fine for a few months afterwards. Also, going somewhere hot over the winter is a massive bonus. If you could plan a dinner party with any four people from any time in history, who would you ask? And what would you cook for them? Ha! Only four people, a tough choice. I would invite Kim Jong-un, Trump, Hitler and the Brexit initiator c**t David Cameron and I would cook them a big pot of magic mushrooms risotto. Maybe it could have a positive effect. You’re showcasing Mental Amplifiers at Tribal Village next Saturday night at the Steelyard. Why should readers come and hear you play? Because I will make some great dance moves and look pretty awesome on stage! I will also play a lot of my new material and I would love to see everyone having a great time dancing to it. 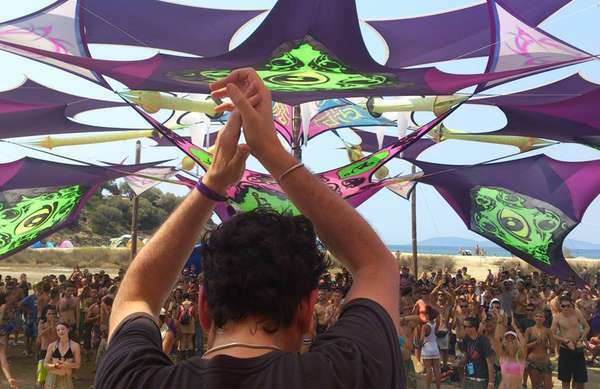 Also, Tribal Village is a killer party and no one should miss it – the line-up, deco and overall vibe is great. 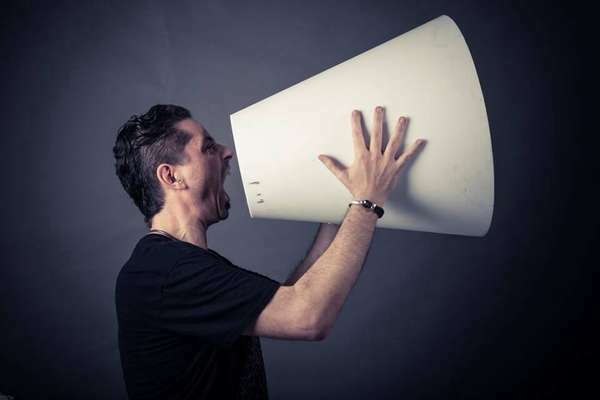 What advice do you have for the up-and-coming DJs and producers that you wish you’d been told when you started out? There is a lot of competition out there nowadays, so I would not send tracks to labels for possible release without being certain that they are ready. I would also think twice before quitting the day job unless you are really on top of your game. Finally, what else do you have in the pipelines for the rest of 2017? And beyond? I have been booked to play some interesting UK gigs over the autumn: Tribe of Frog for its 17th Birthday Party; Remedy Halloween in Leeds; Psymera in London; plus Dublin in November…beyond? Too early to say. Many thanks for your time! Looking forward to your set at Tribal Village on Saturday! Thanks for the lovely interview Tara, see you Saturday for a proper blast!!! 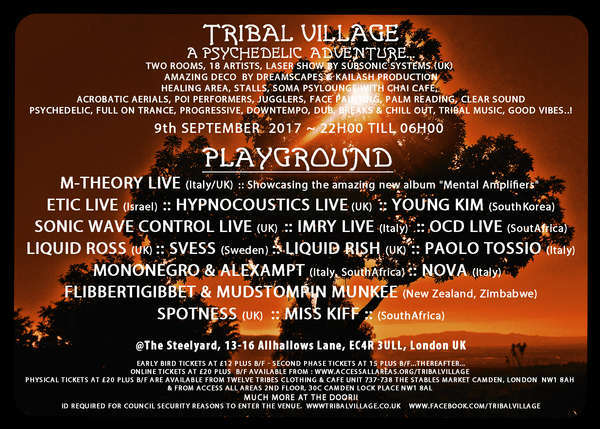 Don’t miss M-Theory showcasing his new album Mental Amplifiers on Saturday 9th September at Tribal Village! Advance tickets were still available at the time of writing from Access All Areas. Images courtesy of M-Theory and Peter Nemeshazi Photography. Not to be reproduced without permission. Relight the fire! The tribes are gathering…. Curiosity and the Catt. Created by Dan Catt, Curiosity and the Catt is an expression of an exploration into the fascinating aspects of our reality, our connection with nature, who we are, and where we came from. Combining an array of different art styles and fused with his imagination he provides a portal to peek into different worlds. Music: Psy Trance. Breaks. Chillout / Leftfield. :: Showcasing the amazing new album "Mental Amplifiers"